Anthony Cowin: No Ordinary Monsters. The Work of The Classic Horror Campaign. Remember a time when the darkness fell outside and the only source of comfort were the bright lights emitting from the Cathode Ray Tube in the corner of your living room? It may be cold, raining and brewing up storms outside those heavy curtained windows of your home on those nights, but inside it was a different matter. It was a different world. Inside, those bright television lights danced across the strangely patterned curtains chosen by your mum and dripped shadows of monsters down the walls. These were no ordinary monsters. These were the stuff of excitement and tradition. These were part of the fabric of your Saturday night growing up. As traditional as pyjamas after bath time and hastily arranged teenage parties when your friends parents were away a few years later. It was always a better fabric that the curtains your mum hung up anyway. The continuity announcer would break through the futuristic stripes of the BBC2 logo and take us on a journey into the past. Sometimes as far back as a 1930’s black and white world of werewolves, vampires and ghosts. The BBC2 Midnight Movies, the double bills, the Hammer gothics and everything in-between. This was the age of the classic horror on TV. We found films our parents, and sometimes grandparents, had watched in the cinema with their dates. A horror movie always ensured the girl would hold you tight. Just like you did to that poor teddy bear as you huddled up on the sofa, or a cushion if you were a little older and wanted to maintain a sense of cool. 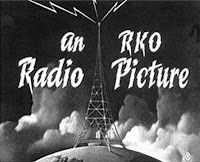 We were treated to everything from portmanteau Amicus films to RKO classics. A short break between films or a less convincing Amicus or Hammer section of an anthology gave you the chance to pop to the toilet if somebody would volunteer to stand at the bottom of the stairs. I know you may look at your harddrive or DVD collection and think you can watch these any time you want now. But cast your mind back to those golden days when you made a date with a sofa and a cushion to cling to. Wouldn’t you love that all over again? Wouldn’t you love to hear the announcer whisper details of the next scary instalment? What a great chance to go back in time for a few wonderful hours. What a chance to show those who were too young or not even born what delights television once gave us before the proliferation of mediocre shows over hundreds of channels. All you need is one channel, one time, one night. Simple and magical. So help bring back the classic horror films to the BBC. 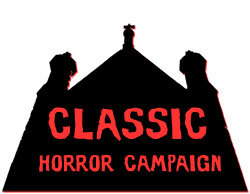 You can do that by signing this petition or find out more details on http://www.classichorrorcampaign.com. This is the brilliant site that helps promote the campaign and is run by Richard Gladman and Amanda Norman. The campaign was set up by Richard who was later joined by Amanda to bring those supernatural nights back to our living rooms. Their work on this cause is tireless and breathtaking. They strive to do this not only for themselves but for all horror fans out there. The site gives more details on how you can help and is home to reviews of classic films to remind you, show you and bring back that feeling you thought you had lost forever...Classic Horror Film Night.